Since its announcement in January, Asus’ Zenfone 3 Zoom has flown under the radar in North America, as many mid-range Android devices often do. It seems to have escaped consumers that Asus has released a variant of its critically-lauded Zenfone 3 that has a 5,000mAh battery (2,000mAh improved from the original) and a dual-camera setup that allows for up to 12 times total zoom. 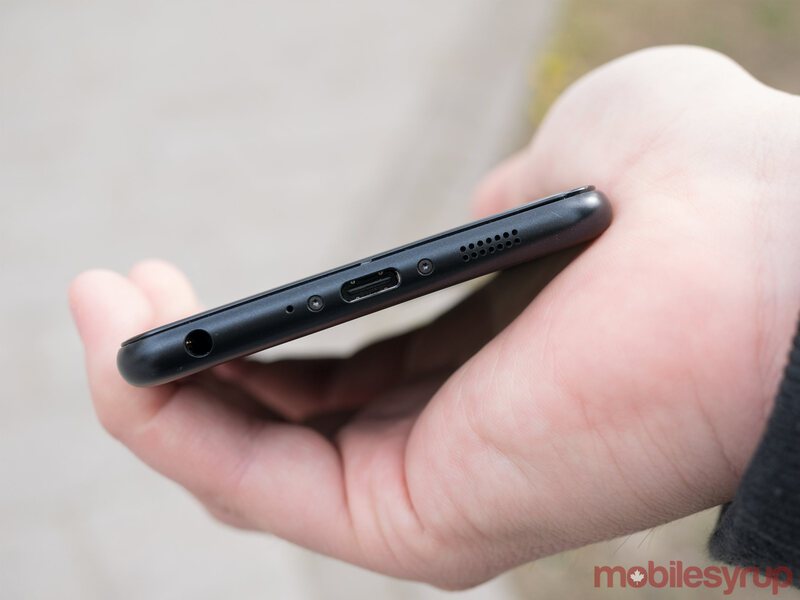 What’s more, the phone is now available in Canada for the solidly mid-range price of $479 CAD outright. I’m not usually one for hype, but perhaps, in this case, some hype is warranted. If there hasn’t been wide-scale buzz about the device, though, Asus has certainly been bold in its own proclamations about the phone. “Zenfone 3 Zoom confines compromise to history,” reads the surprisingly elegant copy on its Canadian webpage. By that, the company means that the Zenfone 3 Zoom is a photographer’s delight, offering both a premium camera and the means to keep using it for much longer than your average premium device due to its 5,000mAh battery. That’s the allure of this smartphone — and yet there’s more. The Asus Zenfone 3 Zoom’s industrial design has been overhauled from the slightly gaudy appearance of the Asus Zenfone 3 and its shiny glass backplate, now presenting a sleek and understated new metal look. In short, the Asus Zenfone 3 that was already well-regarded by reviewers is now vastly improved. That’s not to say it’s perfect, though. Some of the original Zenfone 3’s issues still persist – an unintuitive Android skin, mediocre performance from its Snapdragon 625 chipset and poor audio quality, to name some of the most pernicious annoyances. Still, in an era in which mobile cameras are one of the most significant differentiation points between otherwise impressive but similar offerings, having an astounding camera experience makes up for a wide variety of ills. In my original review of the Asus Zenfone 3, I noted that the Asus Zenfone was one of the best mobile photography experiences I’d ever had. With the Zenfone 3 Zoom, that opinion has only solidified. There are several reasons for this, but to begin with, there’s the simplicity with which it’s possible to take beautiful shots. Without touching the manual settings, it’s possible to get crisply detailed photographs in a range of light settings that seem exceedingly rich and colour accurate (thanks to its RGB colour-correction sensor, according to Asus). The Zoom also produces truly impressive low-light shots, courtesy of its f/1.7 aperture lens (the same as the Samsung Galaxy S8) and Sony IMX362 sensor, with a large 1.4µm pixel size, topped off with both EIS and OIS. What’s more, the camera offers several different simple camera modes that are both useful and easy to use. ‘Super resolution’ gives you a higher quality pic that takes longer to process, when it really counts, ‘Depth of field’ provides a distinct bokeh effect and ‘Time rewind’ gives you the option to look over the snaps captured seconds before and after you press the capture button. The real difference in the camera package between the Asus Zenfone 3 and the Zoom, however, is the titular ‘zoom’ — the dual camera package that, much like the iPhone 7 Plus, allows for optical zoom, meaning it uses the actual lens optics to zoom, rather than software processing. It pushes the iPhone 7 Plus’ zoom levels, however, with a 2.3x rather than 2x optical zoom, and a 12x rather than 10x digital zoom modifier. The feature is extremely useful, adding a new dimension to my normal mobile camera use. Generally, I expect a mobile camera to take good mid-distance shots and mediocre close-ups and long-range snaps. With the Asus Zenfone 3 Zoom, I get a great mid-distance and close-up shooter. I was able to snap a macro shot of a flower, for instance, that is almost scientific in its level of magnification. While the zoom is the main advertised difference between this device and its predecessor, the two phones have quite different camera specifications. The original Asus Zenfone 3 has a 16-megapixel rear shooter with a f/2.0 aperture lens, laser/phase detection autofocus, 4-axis optical image stabilization (OIS) and a dual-LED flash. The Asus Zenfone 3 has dual 12-megapixel rear shooters — one 25mm lens with a f/1.7 aperture and 4-axis optical image stabilization, the other a 59mm lens with a f/2.8 aperture. The package also features laser/phase detection autofocus and a dual-LED flash. 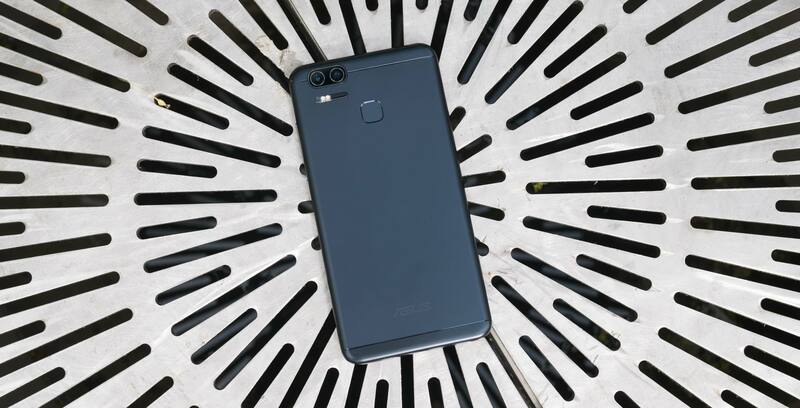 As for the front-facing cameras, the Zoom improves on its forerunner with a 13-megapixel selfie cam with a f/2.0 aperture in comparison to the Asus Zenfone 3’s 8-megapixel, f/2.0 front-facing cam. The Zoom’s high-quality front-facing shooter, paired with a healthy dose of its beautification software, amounted to some pretty flattering selfies, I won’t lie. For video, the camera supports 4K video (3840 x 2160 pixels), Full HD (1920 x 1080 pixels), FHD video at 60 fps, HD video at 1280 x 720 pixels and ‘TV’ video at 640 x 480 pixels, with electronic and optical image stabilization. I found the resulting video stable in appearance with a high level of detail. Additionally, the manual mode supports switching between the 28mm and 59mm lens and photos taken in the RAW format – perfect for serious photographers who’d like to do a more in-depth job of editing their mobile snaps. The RAW feature, however, will only be available with the arrival Android 7.0 Nougat, and so far it’s unclear when that may arrive. It’s worth noting that there are a variety of other Android devices that are also capable of shooting RAW photos. One of the few downsides of the camera during my time with it was launch time. It took a while to load up, which makes sense considering the amount of processing power Asus has injected into its primary feature. Additionally, the sky and other bright backgrounds can sometimes get blown out in sunny shooting conditions. For the most part, though, the quality of the camera is outstanding. Aside from the camera, the main difference between the Asus Zenfone 3 Zoom and the original Zenfone 3 is a step up from a 3,000mAh battery to 5,000mAh, which resulted in outstanding battery life that tended to last me over two days at medium to high use. In one session between charges, the phone provided me with approximately seven hours of screen-on time, spanning two days. During that time, I used both the camera and my messaging app of choice extensively. I also browsed the internet for approximately four hours on and off and streamed several hours of music over Wi-Fi and data. By the time I plugged it in late at night on the second day, the phone still hadn’t died, but was at around two percent charge. A bonus: overheating didn’t crop up as an issue during my time testing the device, with the the Zoom rarely breaching 35 degrees Celsius and only once hitting 41 degrees Celsius. It should be noted, however, that the Asus Zenfone 3 wasn’t a slouch either when it comes to battery life. I received, on average, two days of battery life with that device as well. The new look of the device is also a significant change, differentiating it quite clearly from the original Asus Zenfone 3. Gone is the gaudy, overwhelmingly shiny blue glass back with prominent silver Asus branding and rectangular fingerprint sensors in favour of a much more understated, and, to my mind, elegant matte metal backing. 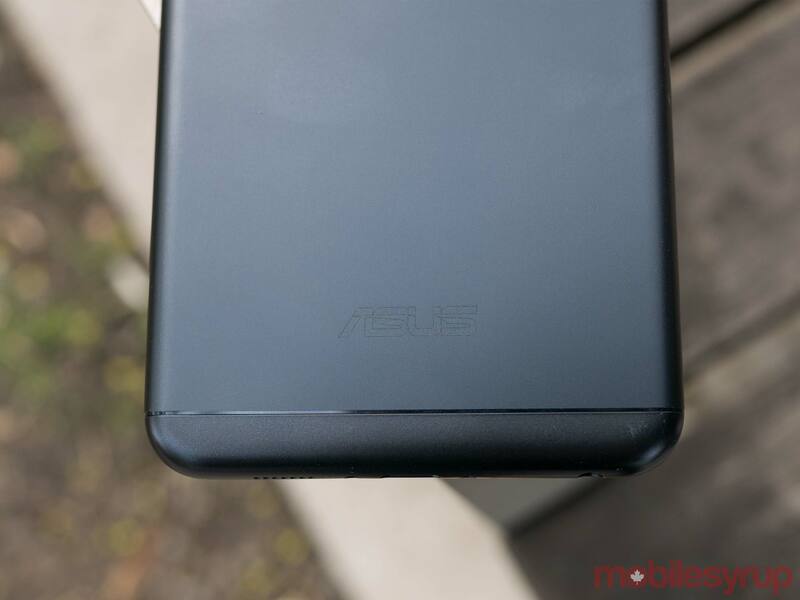 The metal, rounded corners and slim antenna lines at the top and bottom of the phone are reminiscent of an iPhone, and the Asus branding is now extremely subtle raised grey lettering. At the top left, there’s the dual-camera setup and just below, in the center, there’s a slightly indented square fingerprint sensor. Around the front, much less has changed. 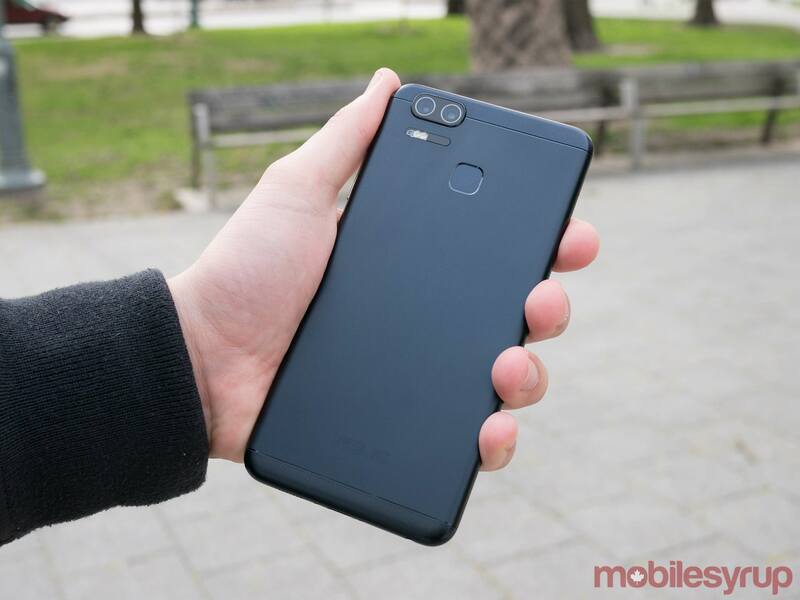 The 5.5-inch display is surrounded by prominent bezels and has, in fact, a lesser screen-to-body ratio by a small margin than the Zenfone 3 – 70.2 percent versus 70.6 percent. As for the display, its still 1080 x 1920 pixel, but has gone from Super IPS+ to AMOLED, which provides brighter bright colours and darker blacks. The display looks fantastic – though didn’t perform quite as well in direct sunlight as I hoped it might. Nevertheless, I see the change as an improvement. But while the display is lovely, what’s underneath it is less so – namely, the mildly bloated ZenUI 3.0 skin running over Android 6.0.1 that is carried over from the Asus Zenfone 3. It wasn’t a major annoyance, but there was a certain amount of legwork before I could feel at home in the device, including swapping out its pre-sets for Google apps, setting up widgets to achieve a poor woman’s version of Google Now and, somewhat bizarrely, turning on data (it came restricted – not difficult to change, just confusing). Then there are a dozen or so useless Asus-specific apps to delete or live with, plus some that are half interesting, like Mobile Manager, which lets you “boost” on command – i.e. releasing memory by shutting down apps and showing you how much was saved. You can do this via a shortcut in the pull-down menu, as well. 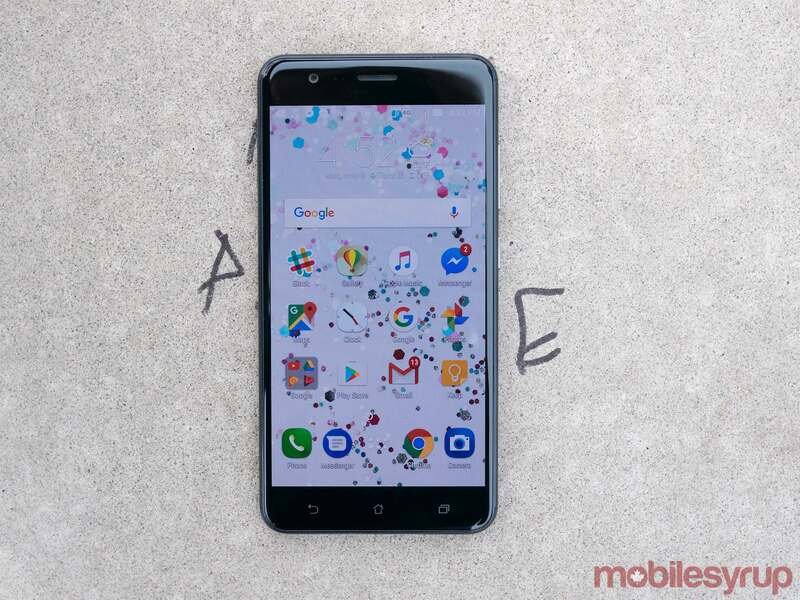 You’ll have occasion to use that feature, as well, since the device’s performance is unimpressive, though not in a way that significantly deters use. It just has a bit of lag and can get especially unresponsive when you haven’t closed open apps in a while. 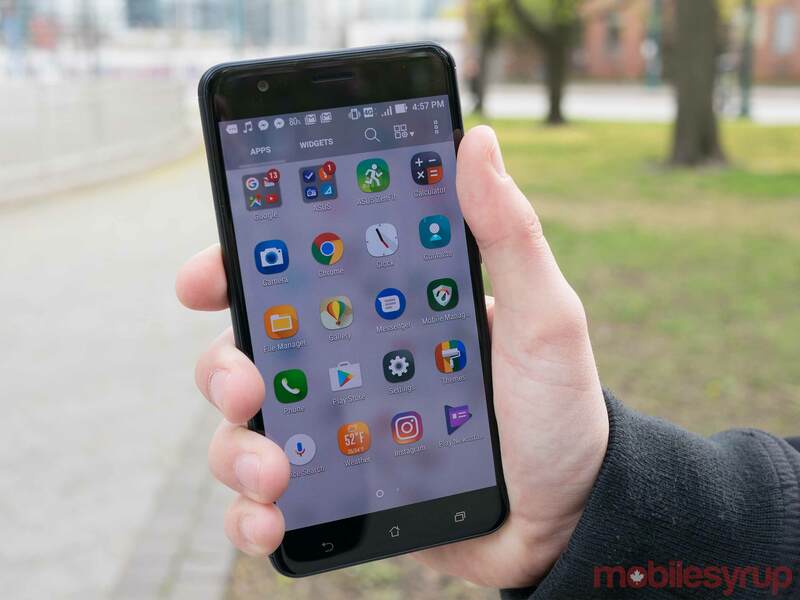 For the most part it ran smoothly on its octa-core Snapdragon 625 chipset backed by 3GB of RAM (the Zenfone 3 has the same setup when paired with 32GB of storage) – but I could see the occasional slow-downs becoming a concern in the long-term. 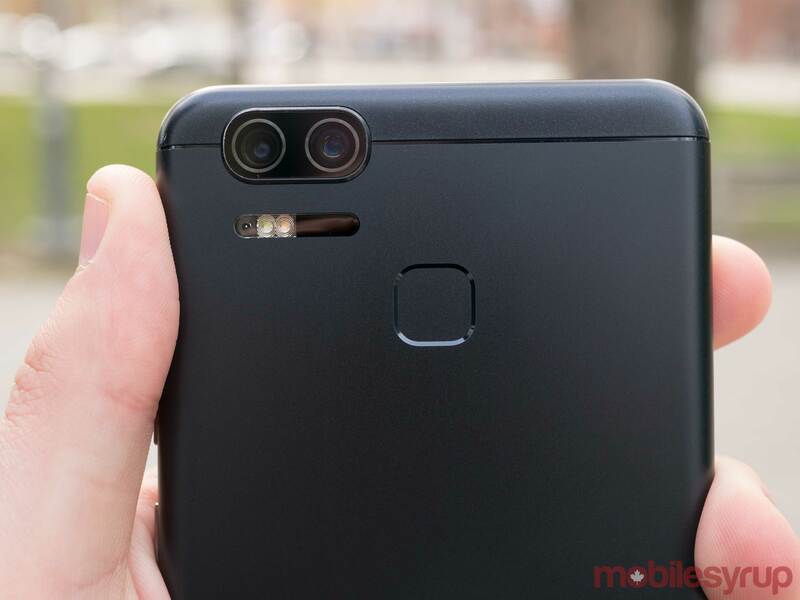 To accommodate that larger battery and more involved camera package, the dimensions of the Asus Zenfone 3 Zoom and the Zenfone 3 differ in distinct ways. The Zoom weighs in at 170g to the original’s 155g. The Zoom is also a little taller and thicker than the Asus Zenfone 3, but slightly less wide. Even still, the width of the phone often makes it difficult to perform one-handed tasks (mind you, I do have excessively small hands). While it’s unfair to compare the Zenfone 3 Zoom against the Samsung Galaxy S8 and LG G6, those devices have certainly made it clear to me how advantageous a slim device is, even if it’s long. It enables so much more dexterity, which is important in a daily driver. Lastly, while I was enchanted by the camera experience, the phone falters on audio. Its 24-bit/192kHz audio was extremely weak, coming through either very softly with low articulation through my wired earbuds or tinny and unpleasant with the volume turned up too loud. I should note that I still found it good enough to regularly listen to music through – it just wasn’t optimal. The Asus Zenfone 3 Zoom offers an excellent upgrade to the original Asus Zenfone 3, already lauded as an exceptional mid-range Android device. It has an exceptional dual-camera setup that outperforms some high-end phones and certainly wins the crown of best mid-range camera. Its also backed by an impressive 5,000mAh battery that should provide most users with a comfortable two days of use. "The Asus Zenfone 3 Zoom offers an excellent upgrade to the original Asus Zenfone 3"